Q: I go through different phases of taste in the kitchen and occasionally end up starring at the same lemons in the refrigerator. I noticed you squeezing one over our fresh grilled pork chops. Very tasty! What other things can you do with lemons that would help me keep them moving? A: Beyond simple lemonade to move them quickly here are a few ideas I use. 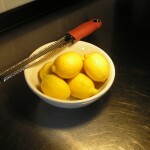 Try using the lemon zest (yellow outer skin) as a final touch to salad or pasta dishes such as Alfredo. But you still have juice and fruit you can squeeze over pork, chicken or fish dishes. Or use the juice in a blender to create an herb dressing with a good olive oil. Try squirting lemon juice over fresh grilled vegetables such as onion, asparagus or steamed broccoli. Try making a lemon and garlic butter spread for use on rice or pasta noodles. Lemon juice mixed with salt is a terrific cleaning agent for coffee pots and stained cups. 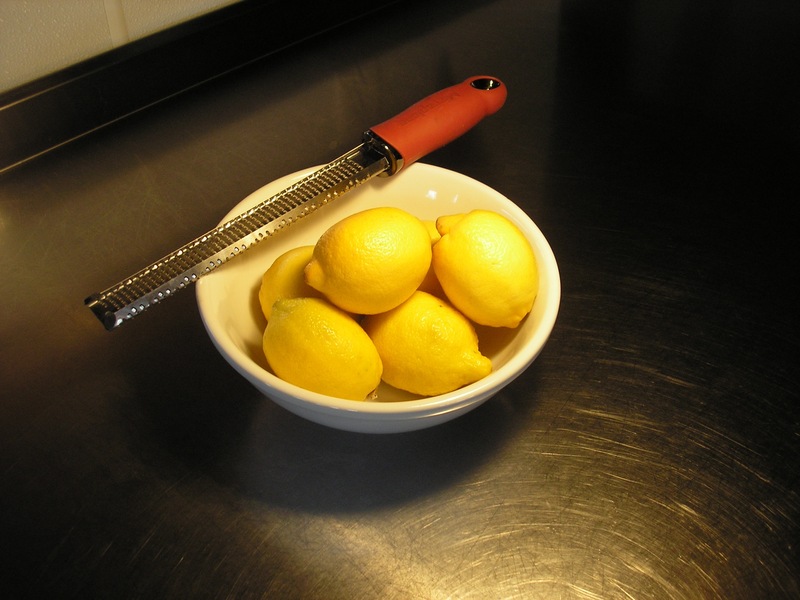 Used lemon rinds can be used as a freshening agent in garbage disposals or as a soil acidifier if placed on the ground to decay naturally under plants such as Pine trees, azaleas or berry bushes. But on the fancy side, decorate food by slicing lemons thin, dip in sugar, then place in a hot non-stick skillet to make candied lemon wheels or twist in spirals. Be cautious on tasting, the sugar concentrates the lemon flavor in a process called extraction. This entry was posted in Recipes and tagged Fruit by Genny. Bookmark the permalink.